Create a rich tapestry of scent throughout the home with the compelling notes of the luxury candle: rich and fruity pomegranate and raspberry, the elegant floral note of Casablanca lily and the warmth of guaiac wood and amber. Burn time 230 hours. 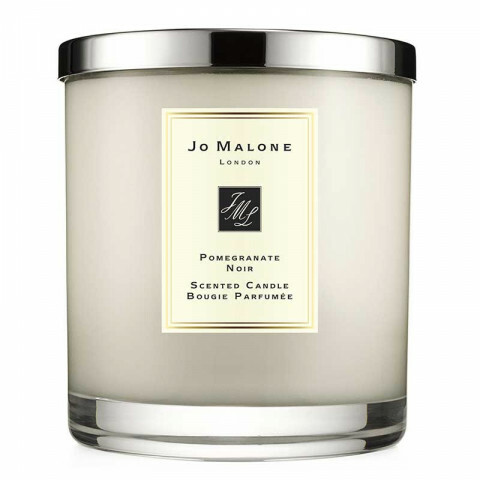 Complimentary Jo Malone™ matches included. Size: 18cm x 16cm. It's spicey, warm, and comforting. My best emotional description, um a Black Swan brand Red Wine, with berries, chocolate, vanilla and Oak on a cold winters night in front of a Roaring fireplace,with Beegie Adair Instrumentals in the background. PN has Longevity issues. I suggest the body cream, or spray your clothes. The only other scent comparable would be Versace's Bright Crystal Noir.